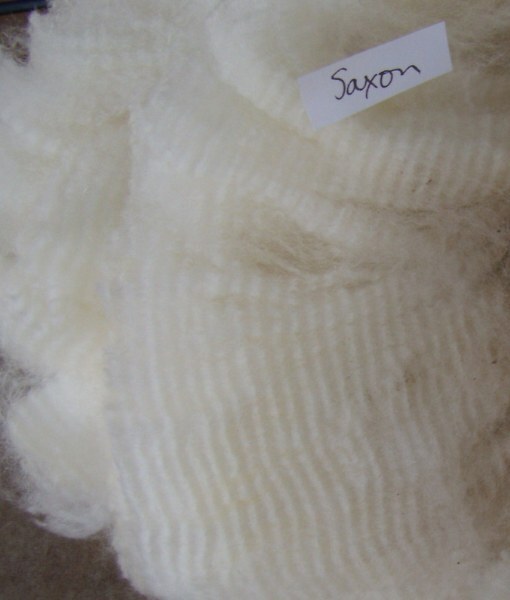 Saxon's large fleece before skirting. 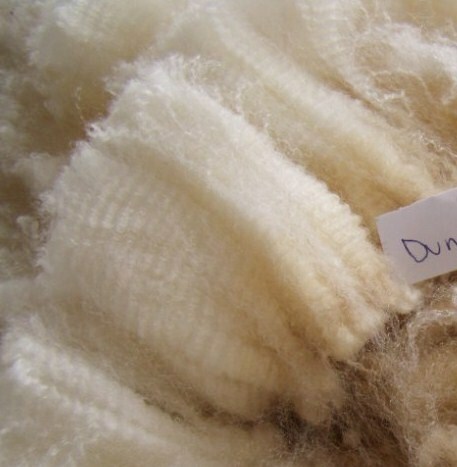 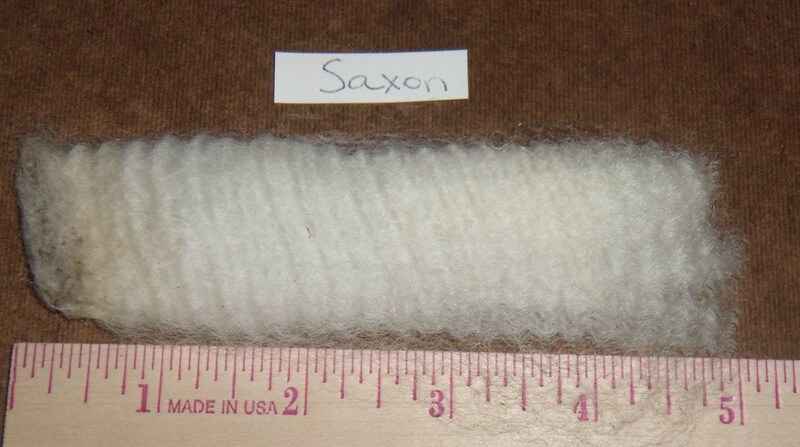 This is really terrific fleece – I’ve been spinning for about 20 years and I had never even seen fleece like this until I met Saxon! 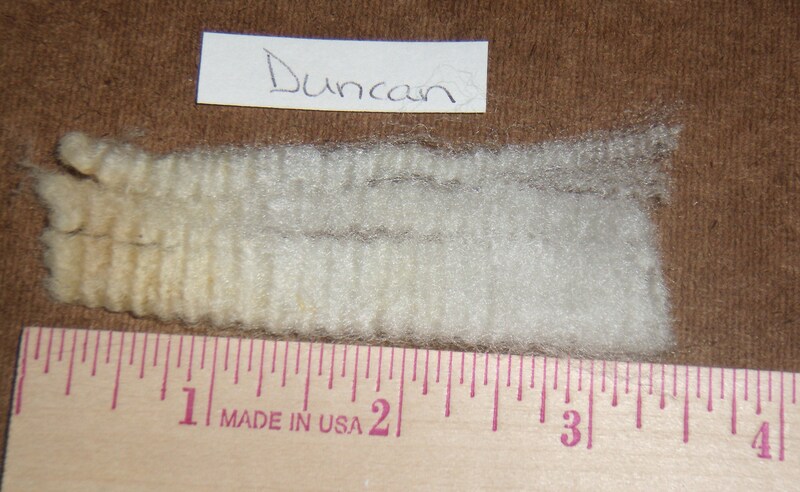 (Okay, so I am Julie’s mom and might tend towards bias, but what I said is true.) 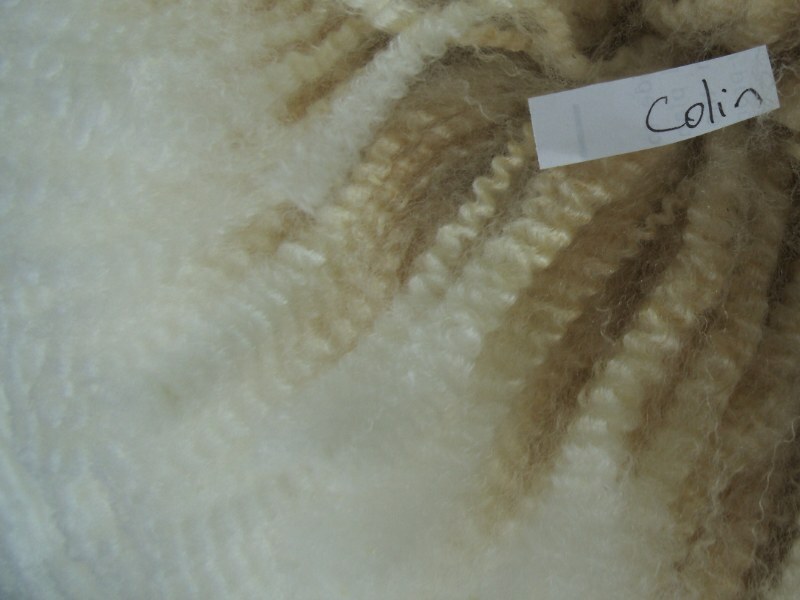 It’s very white and wonderfully crimped and oh-so-long! 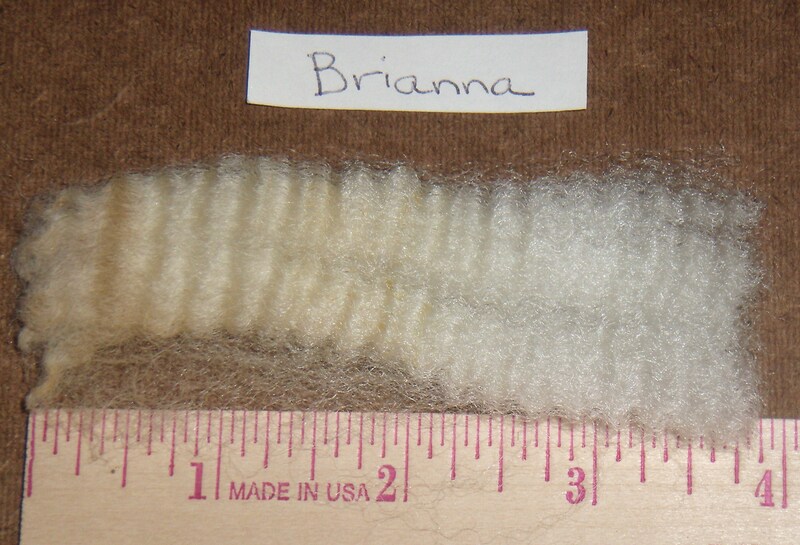 I spun Brianna’s fleece last year and it looked quite yellow for half it’s length. 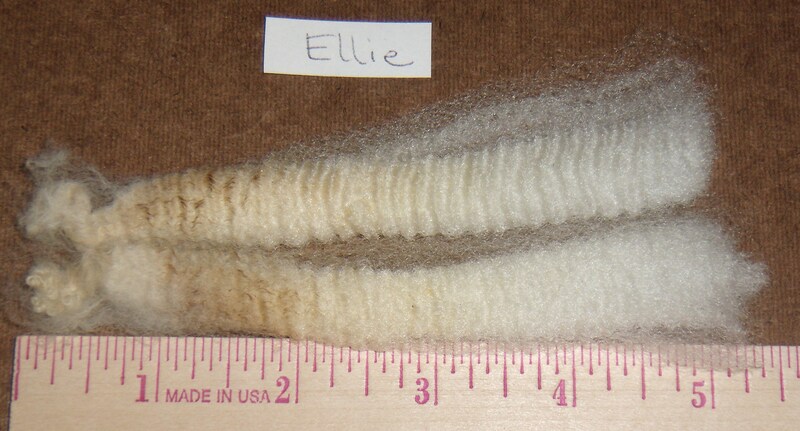 But that color completely washed out. 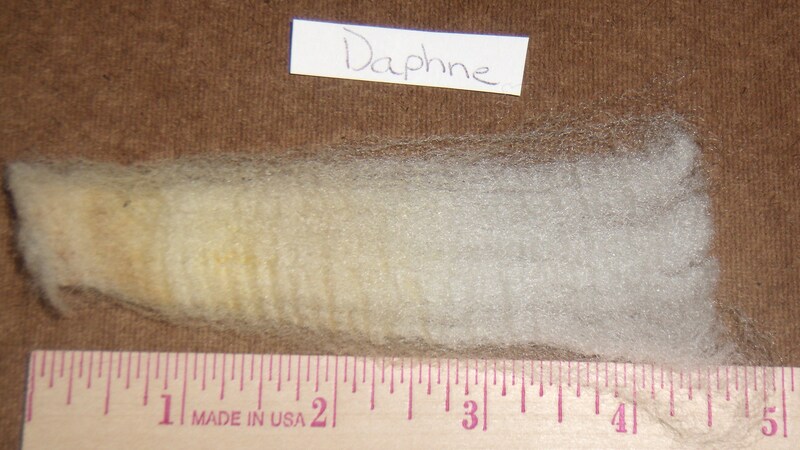 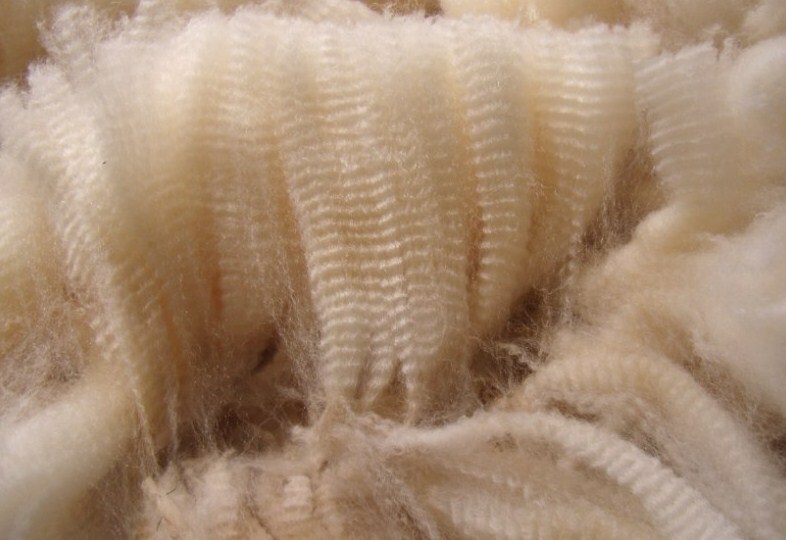 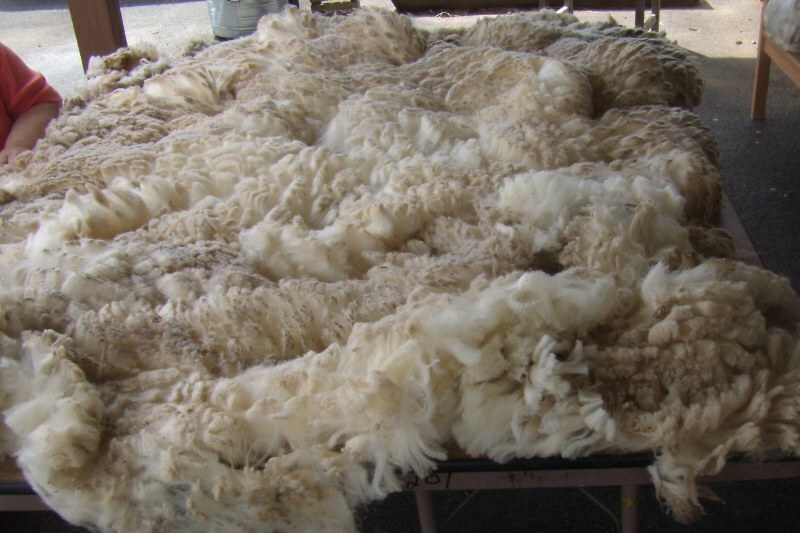 If you notice, the colored part of the fleece is all to the outside (the left side in the photos) which was grown last summer – they were hot and sweaty, and sweat makes various forms of yellowing of the wool – but it is absolutely gone once you wash the fleece before or after spinning. 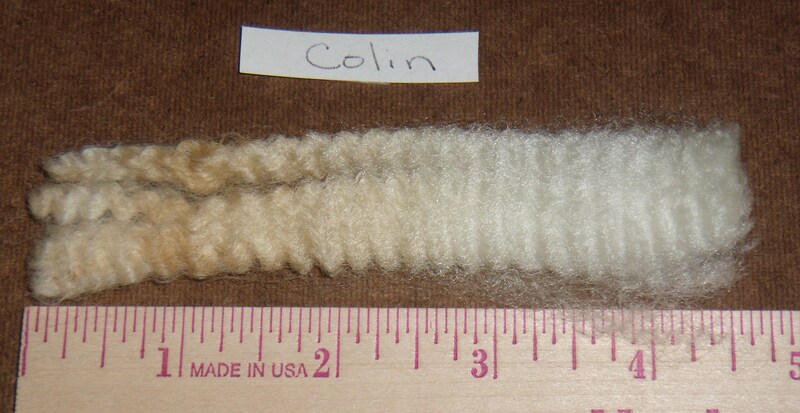 (I wash it after it’s been spun myself.) 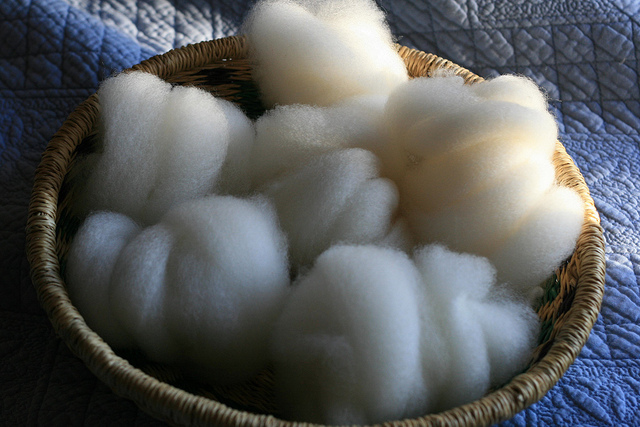 The final color of the wool is the color you see at the right end – that grew during the past winter and they weren’t so sweaty then. 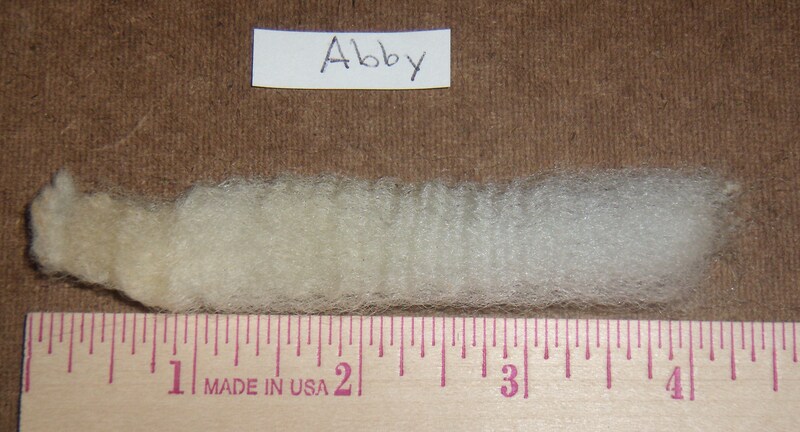 This is very white fleece, not creamy colored.